AB125: Crown Purse Holder. 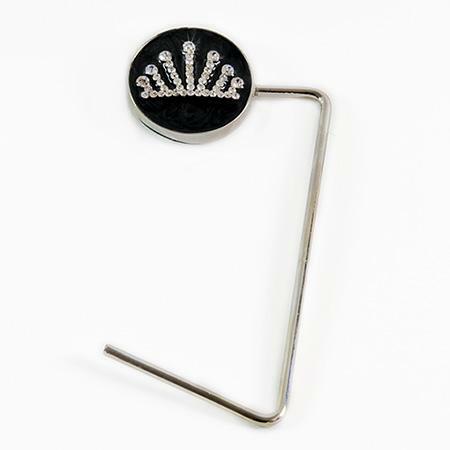 Crown Purse Holder in silver finish with Austrian crystal. Silky American Flag Scarf. Long/Large Size (14" by 5 ft.). Silky American Flag Scarf. Comes in Small (20" by 20") and Long (14" by 5 ft.). Please specify size when ordering.